WESTMINISTER INSTITUTE VIDEO: Kanan Makiya What Went Wrong In Iraq? 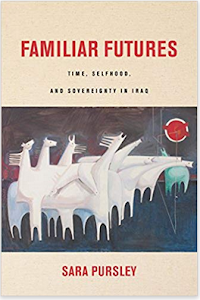 Three years ago the Iraqi insurgency re-emerged. In April 2013 the Baathist Naqshibandi group was able to provoke Prime Minister Nouri al-Maliki to send the Iraqi Security Forces (ISF) to attack the Hawija protest site in southern Kirkuk governorate. Immediately afterward other demonstration areas talked about taking up arms against the government, and there was a wave of violence by all the major militant groups. Security steadily deteriorated over the next year culminating in the fall of Mosul in 2014. The Hawija raid then was the moment the Iraqi militants began operating out in the open once again after their nadir following the U.S. Surge. When the Sunni protest movement started at the end of 2012, the Baathists attempted to take advantage of it. The demonstrations began when Prime Minister Nouri al-Maliki moved against Finance Minister Rafi Issawi in December 2012 by claiming he was behind terrorist attacks. Protests started in Anbar, Issawi’s home, and then spread to other provinces. 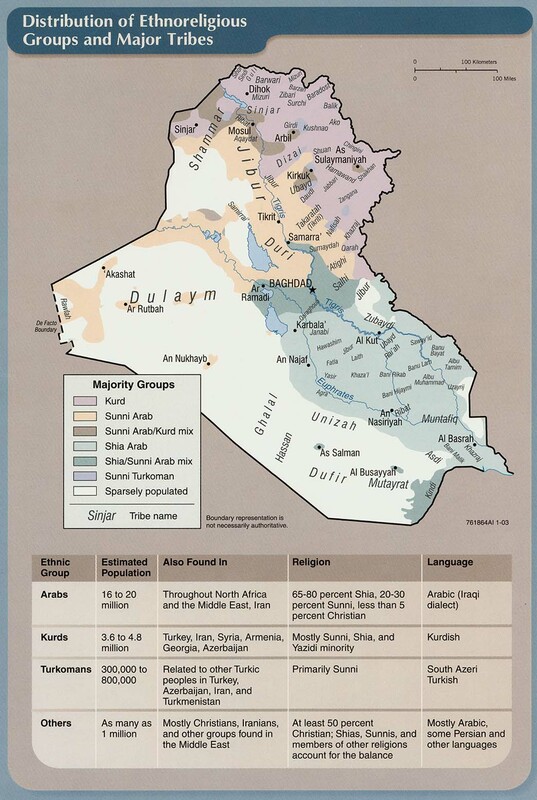 The one in Hawija began in January 2013, and was led by the Intifada Ahrar al-Iraq, the political wing of the Baathist Naqshibandi insurgent group. It wanted to provoke a conflict with the security forces that could be used to turn the public against the government and towards violence. The Baathists attempted to do so in Mosul, Ramadi, and Fallujah, but failed. It finally found its moment in Hawija. 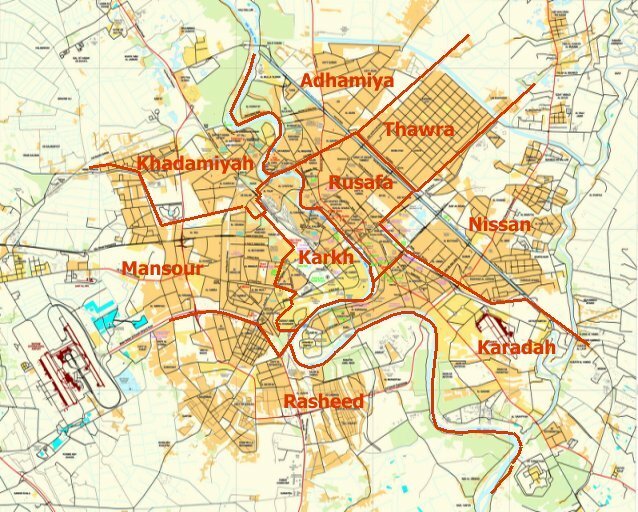 In April 2013, the Naqshibandi was able to create a confrontation with the ISF in Kirkuk. On April 19, a checkpoint outside the Hawija protest area was attacked leading to several casualties. The Army then raided the demonstration site, which caused some fighting. Intifada Ahrar al-Iraq claimed that 114 people were arrested as well. The ISF then demanded that the perpetrators of the checkpoint assault be turned over. Negotiations were going on when the ISF attacked the site on April 23. The Defense Ministry claimed 20 protesters and 3 soldiers were killed in the process, while a parliamentary committee later said 44 total died. It was widely believed at the time that Prime Minister Nouri al-Maliki had grown tired of the protests and wanted to stamp them out with force. That was the reason why he didn’t wait for talks to come to any fruition, and sent in the ISF instead so quickly. That played directly into the hands of the militants. The raid upon Hawija had the desired affect of turning many protesters towards armed struggle. First, Intifada Ahrar al-Iraq announced that it was officially joining the Naqshibandi army, and called on others to take up what it called a defensive jihad against Baghdad. At the Ramadi demonstrations a speech was given calling to take up arms. Sheikh Ali Hatem Sulaiman claimed he was forming a Pride and Dignity Army to protect the protesters, and Sheikh Abdul Malik al-Saadi, the religious leader of the Anbar protests called for a tribal army. By June the demonstrations across the country were shrinking. Many had either given up believing that they could achieve anything peacefully, or they had joined the new insurgency. The Baathist plan had worked perfectly. It provoked Maliki to crackdown on Hawija, and given people a reason to take up arms. In the process the demonstrations eventually gave way to a new wave of violence. 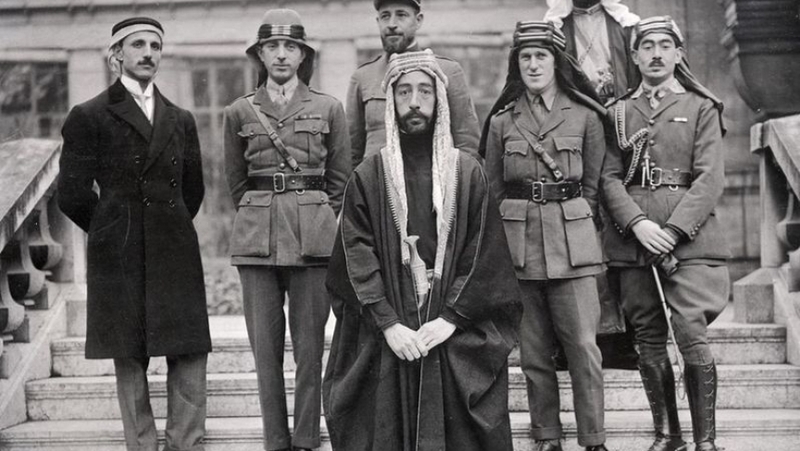 All of the old insurgent groups came out of the woodwork after Hawija. There were attacks upon the ISF in Tuz Kharmato, Baiji, Ramadi, and Fallujah, along with open fighting in Mosul, and the Naqshibandi temporarily seized the town of Suleiman Beq. In a foreshadowing of what would happen a year later in Mosul and Tikrit, soldiers were reported to have abandoned their posts, some senior commanders resigned, and others refused orders. Besides the Baathists, the Islamic Army (1), Ansar al-Islam, and the Islamic State of Iraq all claimed responsibility for attacks. Many tribes joined in as well. A sheikh in Hawija for example named Abu Abdullah told the Global Post after the raid upon the protest site he decided to take up arms against the government. He didn’t think his tribe was strong enough to take on the ISF alone, so it made a deal with ISI. The Naqshibandi also tried to co-opt the tribes by forming Military Councils to organize them under its leadership. By 2008 these groups had all hit a nadir. The United States Surge had killed much of the militants’ leadership or turned their membership towards the Sahwa to fight ISI. Maliki then neglected the Sahwa, which had too many ghost fighters to be integrated anyway, while the Islamic State stared a campaign to kill and intimidate them to turn them backed to militancy. The prime minister had also undermined the integrity of the security forces by appointing men loyal to him as commanders down to the brigade level, few of which were competent as leaders. All together this provided a perfect environment for the insurgency to make a comeback. Ironically, what the Naqshibandi started the Islamic State would usurp. ISI made alliances with all the major militant groups and tribes to launch the summer offensive in 2014. 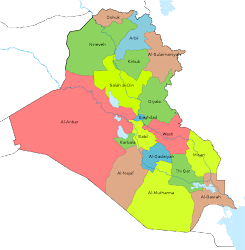 It was able to take Mosul, Tikrit, and the Hawija district in June. It then demanded baya, allegiance from all the other armed groups. Those that refused were attacked and killed. That actually started by the end of 2013, but the other organizations chose to ignore that and the history of ISI, which had done the same thing before the Surge. They believed that they could carve out their own areas of control and co-exist with the Islamic State, but that was impossible. ISI wanted to create a caliphate under its sole leadership, which it eventually did. By 2015 all the other insurgent groups including the Baathists that helped it seize territory were dormant. Hawija then became a pyrrhic victory for the Naqshibandi. The deadlock in parliament between opponents and supporters of Iraq’s Prime Minister Haidar Abadi was temporarily overcome when lawmakers were able to create a quorum and vote on a partial list of the premier’s new cabinet. On April 26, 170-180 members of parliament met, confirmed that Salim Jabouri was still the speaker, and approved five new ministers submitted by Abadi. Those were Ali Ghani al-Mubarak for Health, Hassan al-Janabi for Water, Wafa Jaffar al-Mahadawi for Labor, Abdul Razaq Al-Aysa for Higher Education, and Ali Dishar for Electricity. Over one hundred MPs had been conducting a sit in, and voted out Jabouri earlier, but the Speaker has claimed that was illegal. They tried to disrupt the session shouting and throwing water bottles, which was led by members of former Premier Nouri al-Maliki’s wing of State of Law. They were successful in driving the other lawmakers out of the main parliament room into an alternate location, but they could not stop the proceedings. There was talk about the opposition lawmakers trying to form a permanent block, and they were also going to court over legality of the session. The fact that they were not able to stop the vote however was a major defeat for them after they had been able to disrupt the government for several days. As for the rest of the new cabinet there are still talks going on amongst the ruling parties, and disagreements. On the other hand, Moqtada al-Sadr called off his demonstrations outside the Green Zone with a spokesman saying that the vote on the ministers was a positive first step, but more was needed. Abadi’s changes have threatened the entire political system in Iraq. As Mustafa Habib pointed out in Niqash, Abadi’s proposal for new ministers has caused all kinds of splits within the government, especially amongst the Shiite parties. State of Law was divided between pro-Badi and pro-Maliki factions, and Sadr’s Ahrar bloc and the Supreme Council’s Mutawin came down on different sides of the vote against Speaker Jabouri even though they were in an alliance beforehand. More importantly, the premier’s suggestion of a technocratic set of ministers threatens not only the quotas that determine who gets what public offices, but the elites’ control over the government. The ministries are the main way the parties rule by doling out patronage and stealing from the public coffers to enrich themselves. The new cabinet would be loyal to Abadi instead of the lists, which would dramatically change the power dynamic in Baghdad. It was quite an accomplishment then to get five ministers approved, although the way talks are progressing other cabinet members maybe partisan in order to get approved. 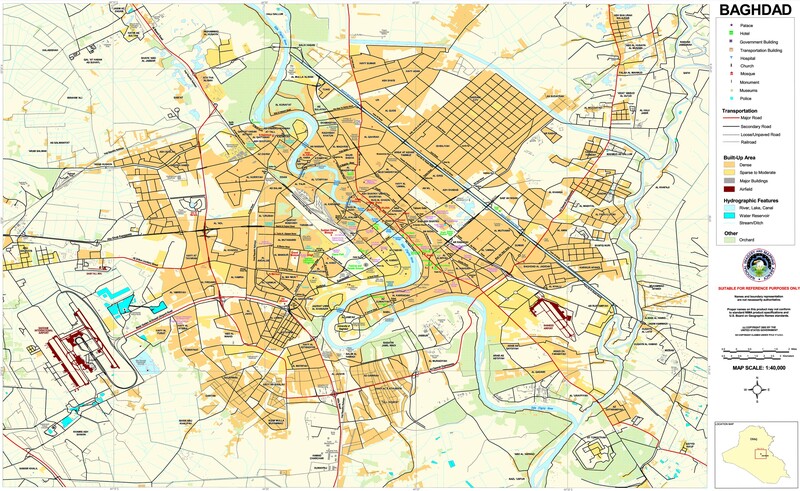 Ramadi was finally cleared at the start of February 2016. Afterward local officials warned that it would take anywhere from two to six months for the city to be cleared of improvised explosive devices (IEDs) left behind by the defeated Islamic State. The problem was politicians and religious leaders were already encouraging people to go back to the city, which ended with dozens being killed and wounded by the bombs. The military stepped in and halted returns, while the local leaders began blaming each other for who was responsible for the casualties. Rising fatalities in Ramadi led to a halt in returns to the city in April. On April 24 the Iraqi forces stopped people going back to Ramadi. Up to that point at least 49 people had died and 79 were wounded from explosions according to the United Nations. The process to remove the IEDs was slowed due to a lack of experts and contractors to do the job. That didn’t stop religious and political leaders telling people to go back to the city despite the dangers. This was despite the fact that the head of the security committee on the Anbar council said it would take two months or more to remove all of the explosives, while the Khalidiya council estimated it might take as long as six months. Those comments were made in March, while residents had already begun returning in February almost immediately after the city had been freed. That was obviously premature. Anbar officials were originally touting returns. The International Organization for Migration said that around 71,000 people had arrived in the Ramadi area since the start of March. In April Ramadi politicians were noting that generators had been set up to provide electricity, water was being pumped in from the Euphrates, ten schools had been repaired, and 600 tents had been set up for those without homes. When it became public that dozens of people were dying and being injured by bombs, the tone quickly changed to an accusatory one amongst the province’s leaders. Who told people to go back to Ramadi became a political dispute between the ruling Iraqi Islamic Party (IIP) and the Sunni Endowment. The Anbar Governor Suhabi al-Rawi held the Endowment responsible for the deaths of returnees since it was given responsibility for the process by Prime Minister Haidar Abadi. The head of the Endowment countered by saying the authorities were stopping people from going back to their homes, and accused the IIP of purposefully mining houses in the city. In turn the governor created a committee to investigate the Endowment. This blame game highlighted the struggle for power within the province. The two groups worked closely together during he Sunni protests that started in Ramadi in 2012, but then went their separate ways. 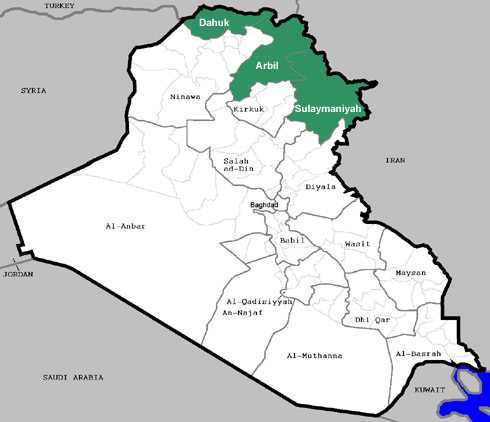 They are now competing for control of Anbar, which the IIP has considered its base since it took power there in 2005. As the head of the security committee on the Khalidiya council aptly pointed out, these parties are vying for influence at the expense of the citizenry. Anbar leaders were well aware of the dangers the recently freed city of Ramadi still posed. The Islamic State had planted hundreds of IEDs throughout the area as part of its defenses, and then left booby traps as it withdrew. It was going to take months to secure the city, but the Islamic Party and Sunni Endowment wanted to score political points by having people back as soon as possible to build upon the success of defeating the militants. The displaced were the ones that paid the price for this escapade. 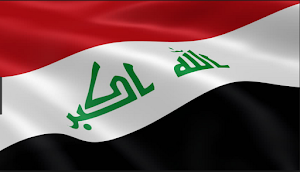 Even though the security forces have barred further returns, there are now tens of thousands already in Ramadi who will continue to suffer the consequences of the political rivalry going on between the IIP and Endowment. Fears of an Islamic State spring offensive subsided the third week of April. The number of incidents and casualties both went down after a two-month spike. On the other hand, the government was still marching through Anbar. After a two month rise in violence, it decreased the third week of April. The number of incidents went from 144 the first week of the month, to 141 the second, to 124 the third. The number of incidents had been going up since February, but it looks like April will have a lower total given the dip from April 15-21. That seems to have forestalled fears that IS was building up for a spring offensive. There were 59 attacks in Baghdad, 16 each in Anbar and Ninewa, 14 in Kirkuk, 12 in Diyala, 5 in Salahaddin, and 2 in Babil. 436 people died and 242 were wounded during the week. That included 7 Hashd, 19 Iraqi Security Forces (ISF), 27 Peshmerga, and 383 civilian deaths, along with 19 Peshmerga, 19 ISF, 29 Hashd, and 175 civilians injured. The deadliest province was Ninewa with 289 fatalities. That was due to a report of IS executions. After that there were 68 killed in Baghdad, 63 in Anbar, 7 each in Diyala and Kirkuk, and 1 each in Babil and Salahaddin. The Iraqi Forces are still churning through Anbar. After Hit was liberated last week, the surrounding areas were attacked with several towns freed. Anbar officials were also happy to find Hit not damaged much, which could hasten the return of the population. Outside Ramadi the road from Albu Aetha and Albu Faraj was cleared. The new Garma operation finally got started a week after it was announced. The joint forces have been trying to take the town for more than two years. Finally, the security forces and Hashd are still split on the next move. Reinforcements were sent to both the Ain Assad base and Fallujah. The ISF would like to push west from Hit to the Syrian border, while the Hashd have tried to take Fallujah since July of last year. These dual priorities will continue as there is no unity of command in Anbar. Two mass graves were discovered in Ramadi. Some 40 bodies were found inside them, a mix of civilians and members of the ISF killed by IS. After seeing a sharp rise in violence, the number of incidents in Baghdad finally went down. From April 15-21 there were 59 attacks in the capital province compared to over 60 the previous weeks. The most dangerous sector of the governorate remained the south with 24 attacks including 1 grenade, 1 mortar, 1 sticky bomb, 5 shootings, and 16 IEDs. After that there were 14 incidents in the east, 10 in the north, 8 in the west and 3 in the center. Attacks in the East appear to be more based upon crime, vigilantes and militias than insurgents, while in the south, north and west it is almost all IS activity, especially in the outer towns. At the start of April the Hashd began an effort to take Bashir in southern Kirkuk. That was eventually put on hold, but IS was still attacking the joint forces in the area including several intense clashes that left 1 Hashd dead and 20 wounded along with six car bombs destroyed. In Ninewa there was a report that the Islamic State had executed 250 women that had refused temporary marriages to members of the group. Another twelve people were executed from April 15-21 in the Mosul area including one reporter and seven former policemen. Also during the week there were reports that IS fired chemical rockets and mortar shells three times at Peshmerga positions in Ninewa leading to 27 Peshmerga deaths and 21 wounded. The operation to clear the Makhmour district completely ground to a halt during the week. The town of Nasir, which was supposed to be taken on the first day was still in IS hands, and the militants were launching counter attacks during the week. 300 more soldiers were being sent to the area to try to help move things forward. At the same time, the U.S. used B-52 bombers for the first time to bomb a suspected weapons depot in the area. The goal of the effort in Makhmour was to stop Islamic State shelling of the several bases in the area. In a related incident, volunteers organized by former Ninewa Governor Atheel Nujafi carried out an attack upon the insurgents to protect their camp in Zilkan supported by Turkish forces. This is the first time this group has seen combat. Violence remained very low in Salahaddin, but the locations of the few attacks that did occur were important. There were two attacks on the Ajeel and Alas oil fields in the northeast, which are rather routine. There were also four car bombs destroyed in Siniya in the Baiji district, and sniper fire in Tikrit. Every week now there are attacks in those two areas. The attacks in Tikrit have been small, but there have been very large clashes in Baiji. After that district was freed the Hashd led forces moved northeast to the Makhoul mountains. That has allowed IS to move back into the areas previously freed to set up shop again. On the other hand, the new governor of the province Ahmed Abdullah al-Jabouri complained that there were undisciplined Hashd causing problems. He went on to say that there was a wave of lawlessness in Tikrit with robberies, some of which were due to the Hashd. There was not a single successful car bombing during the week. In turn, the Iraqi forces claimed they destroyed 19 of the devices. 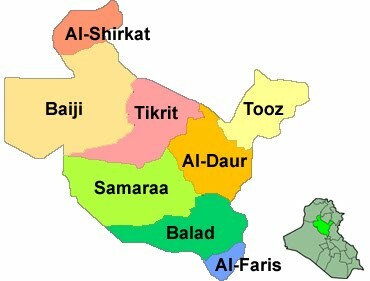 There were 6 in Kirkuk, 5 in Anbar, and 4 each in Ninewa and Salahaddin.